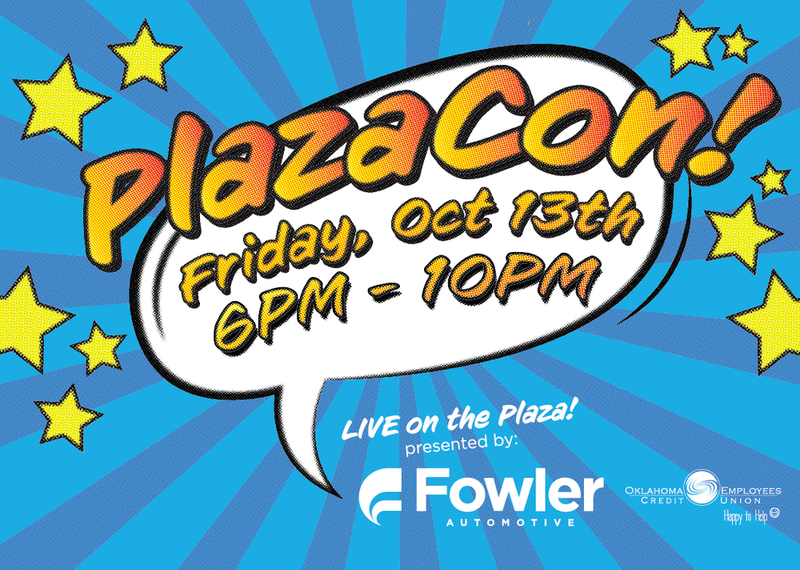 Prepare yourself to geek out for October's 'PlazaCon' LIVE on the Plaza! Join us on October 13th, 2017 from 6pm to 10pm for PlazaCon games, live music, comic themed art, and more! We encourage you to dress up as your favorite comicbook, videogame, anime, or cartoon character! LIVE on the Plaza is presented by Fowler Automotive and Oklahoma Employees Credit Union!